Do Your Lip Glosses Have Rich Color? Are They Drying? Our new lip gloss products are incredible and will provide lovely pigment and has excellent moisturizers lasting all day. You'll love the extra organic oils and butters we have infused into the new formula. We will continue to never use Dyes and Lakes or colorants like Carmine since dyes and lakes are quite drying to the lips and are created with petroleum or coal tar processes. This is the reason why synthetically created lip color products require other slip agents in order to help with ease of application and give the lips a feel of moist texture to prevent drag. And adding Carmine (bug juice) well, icky and nasty comes to mind, so this pigment is not part of our new and improved lip gloss. Using our Crème Lip Lacquer gloss will reduce your exposure to dyes and lakes and other harmful synthetic chemicals while providing a nice natural light reflecting, polished sheen to the lips, giving a more youthful appearance without dryness. Our natural lip gloss is made with 90 % organically derived natural butters and oils which contain wonderful lip nourishing properties for chapped lips and will provide a smooth and supple, petal soft lip finish. The staying power has also been improved utilizing a rich and creamy thick formula. You can get great depth of shade by applying in layers and this will increase coverage, color vibrancy and improve the moisture your lips need. 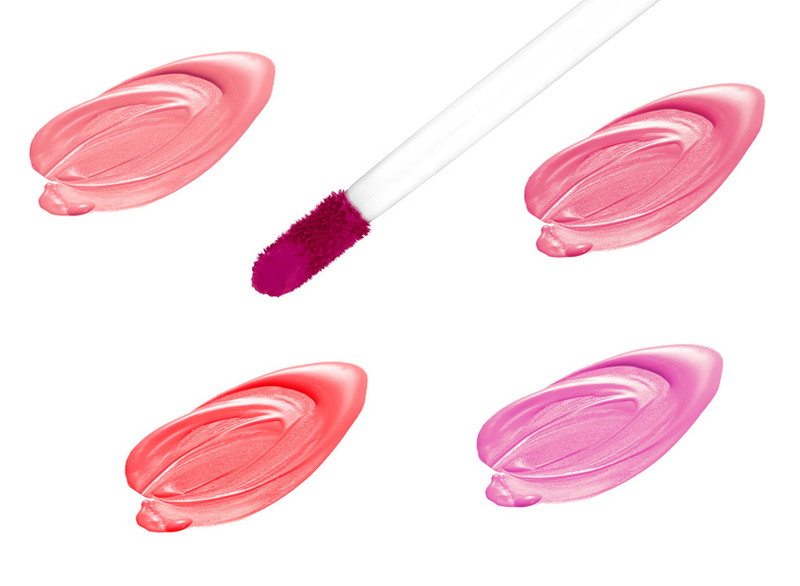 Pigments in our lip gloss Crème Lip Lacquer are rich and true with no muddy undertones. As for choosing the best color for your particular skin tone, natural lip colors are very beautiful no matter the shade. You can also control the color level of the shade unlike commercial brands, which in most cases if you're not careful with your application, it will require blotting with a tissue to prevent bleed or feathering or to remove some color intensity. Ours resists feathering or bleeding into the fine lines around the mouth due to the very thick consistency. CRÉME LIP LACQUER COLOR NOTICE: Each shade is clean and true to tone since we have eliminated any brown undertone except where declared. Please note as with any lip color choice, shades can appear different once applied to the lips depending on your ethnic skin tone. Please note: Our Crème Lip Lacquer colors can display differently depending on the device used for shopping. A detailed color description with color swatch is provided to assist with your best color choice. Upon arrival of your lip color, don't panic when you look at the color in your tube. Crème Lip Lacquer gloss can appear deeper, brighter or darker in the tube depending on your shade choice, than how it will look on your lips. The color will be beautiful! Color Intensity: When you are young your lips have rich blushy pigment which can require more product if you are looking for coverage of a different shade. A sheer application can conflict with the natural color of your lips, giving you an entirely different finished look. As you age on the other hand, this lip pigment is lost so lip colors can appear more intense, yet will seem to remain more true due to no pigment conflict. Color tips should be factored in when choosing a shade. Think about blush or eye color; if a certain shade didn't go well with your complexion in the past, then choose similarly when seeking to find that compatible shade of lip gloss. These many articles within our education center are here to help you at any time! You can also review the best selection of lip color choices.